So after we visited FutureScope, we went for dinner at a Korean BBQ restaurant. It was delicious. 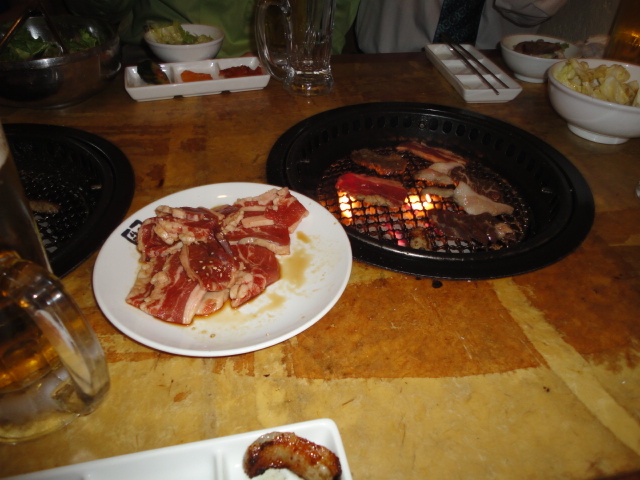 There was all kinds of meat and we were able to cook it ourselves. I had never been to a Korean BBQ in person so it was quite an experience. Wearing my dress clothes around the heat made it slightly uncomfortable, but I was able to endure it. The real challenge of the night was using the chopsticks, something I have never been able to master in over 2 years. Because of that, I left most of the cooking to everyone else at my table. My favorite piece at the table was the chicken with melted cheese on it. I could barely taste the cheese, but the chicken really hit the spot. And as a bonus, I learned that Dr. C is actually #@ years old! 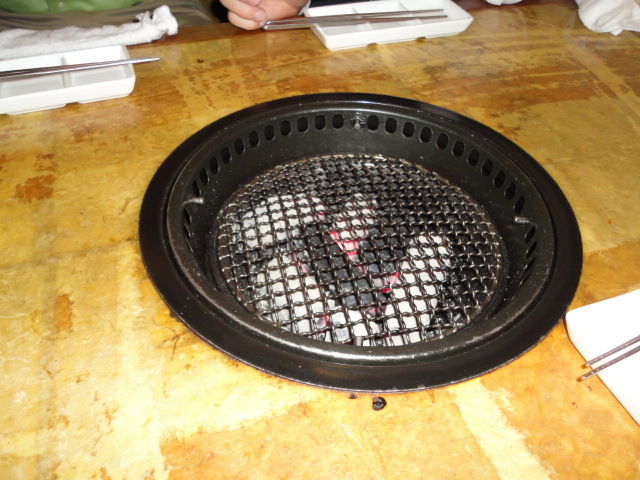 Overall, the Korean BBQ was one of the best food experience I’ve had since coming to Japan.